Auto Italia Canberra is an annual showcase of Italian automotive design. Hundreds of exceptional cars, motorbikes and scooters gather each year in Australia's Capital City, in celebration of Italian motoring history and the ​ongoing, cultural influence it has on the international landscape. 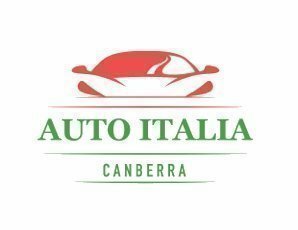 Presented by the Italian Cars Association of the ACT since 1985. PLEASE NOTE: Children aged 15yrs & under are free and do not require a ticket. Tickets purchased online will be delivered via email. Assuming the event does not sell out, tickets will be available for cash payment on the day. It is a condition of entry that cars remain on-site until the completion of the presentations at 1:30 pm.